Gray Davis never saw it coming. He didn’t realize until it was too late that the public would blame him for his ineffective action against deregulated electricity pirates like Enron that hijacked the state. That’s why Davis never took the advice of consumer advocates to use his power of eminent domain and seize sabotaged power plants during the phony electricity crisis to turn the power back on. It’s a volatile situation for Brown when you start to look at the evidence of his Administration’s environmental failure in the three most populous regions: LA’s Leak, San Diego’s ratepayer scandal over the closing of the San Onofre Nuclear power plant, and the 2010 San Bruno gas explosion. The Leak roiling the LA area is now California's single largest source of planet-warming pollution and it was no isolated accident. It was the result of too little regulatory oversight of Southern California Gas and other oil and gas excavators. That falls squarely on Brown, whose administration is responsible for well safety. Brown’s antipathy to regulation of all kinds, including health and safety, is well known. The public first started paying attention in February of 2015 when it learned that Brown’s oil and gas regulator turned a blind eye to frackers injecting toxic wastewater into federally protected drinking water aquifers in Kern Country. The contamination, like The Leak, was a direct result of a Brown Administration culture of penalizing regulators who crack down on health safety in the oil and gas industry. In 2011, Brown fired two top regulators who raised grave concerns about the oil and gas industry's underground injection activities, and the state has known for years that aging natural gas infrastructure was a disaster waiting to happen. But the governor's administration failed even to require safety plans and other measures that would have helped prevent this disaster. As the Associated Press reported: “California's top oil and gas regulators repeatedly warned Gov. Jerry Brown's senior aides in 2011 that the governor's orders to override key safeguards in granting oil industry permits would violate state and federal laws protecting the state's groundwater from contamination, one of the former officials has testified. Brown has repeatedly shown this arrogant antipathy toward regulation, what he would call “red tape.” But the right red tape can avoid the yellow hazard tape in places like Porter Ranch, where the resulting failure to inspect and upgrade pipes is a continuation of the same lax Brown Administration policies at the same agency -- the Department of Conservation's Division of Oil, Gas, and Geothermal Resources (DOGGR). The regulators fired in 2011, Derek Chernow, Acting Director at the Department of Conservation, and DOGGR supervisor Elena Miller, simply dared to repeatedly warn Brown that oil drilling would harm the state’s groundwater, echoing a warning already issued by the EPA. The East Bay Express has the sordid details. More recently, Brown fired DOGGR supervisor Steve Bohlen on Dec. 8, 2015 when Brown was in Paris for global warming talks. The dismissal was probably not about “Mapgate,” the recent scandal where Brown had DOGGR map his family ranch for oil and gas, as most presumed, but more about Porter Ranch. At least that’s what was told to Capitol Watchdog. Brown was apparently embarrassed that Southern California Gas’s shoddy maintenance at the facility is to blame for the leak, and the fact that the amount of the potent greenhouse gas, methane, leaking into the atmosphere was equivalent to one quarter of the state’s methane emissions from all sources. Despite So Cal Gas's recent prediction the leak would likely be closed by the end of February, the largest methane leak in California history has the potential to go on a lot longer, if the well-head blows out, and containment becomes infeasible, which is possible according to a recent LA Times report. Such a development would clarify that The Leak is the most visible result of shoddy maintenance and lack of state oil industry oversight that has plagued Brown’s administration. Lots of questions need to be raised about DOGGR oversight of the collapsed pipe. If it was out of use for a prolonged period, should the leaking well have been stuffed with cement and capped off? If it was still active, why wasn’t it maintained? (The latest theory is that the well was structurally flawed and over-utilized for unorthodox gas injections that pushed its safety limits right before The Leak.) In either case, the questions will be raised, if not by regulators who now have nowhere to hide, then by trial lawyers circling Aliso Canyon to make it into the next Erin Brockovich movie. While DOGGR is responsible for well safety, the PUC is responsible for oversight of the utility in charge, Southern California Gas. Brown’s stamp on this PUC has been so indelible that some allege he runs it out of the Governor’s office. The PUC and Brown will soon face new questions about an expansion of natural gas storage capacity in Aliso Canyon that the PUC and Brown Administration have shepherded. The plan approved last summer, which includes a supersized compressor set to begin operation in the second half of 2016, was supposed to increase natural gas storage in Aliso by 50 percent by increasing the amount of pressure used to inject it. 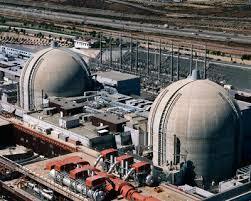 It would feed new Southern California Edison natural gas fired generating plants authorized by the PUC. The PUC, under the guidance of Brown’s hand-picked chief, Michael Picker, has approved this conscious strategy of rushing to increase the amount of natural gas stored in Aliso Canyon. The problem with the project is that by increasing pressure in the natural gas reservoir that feeds many unclosed, unmaintained pipes the higher pressure could break down more wells. Adding pressure to the reserve is unsafe unless every pipe is retrofitted first. Otherwise the pressure in the reserve could pop another pipe. Now that The Leak has put the dangers of the compressed natural gas reserve on the map, residents will probably chain themselves to the gates of the new project rather than let it go forward. The PUC, knowing its historical indifference to communities opposing its plans, is likely to go forward even if it means calling out the state’s national guard to maintain order. The standoff could have all the makings of a Brown Legacy buster. The natural gas expansion will turn the spotlight onto the Governor. That could reveal an unflattering history of his fealty to the state’s public utilities, including Southern Gas and its parent SEMPRA, where Brown’s sister Kathleen sits on the board and is chair of the board’s health and safety committee. Some say Kathleen was given the job because of her brother’s loyalty to the utility. Did brother and sister ever communicate about The Leak? Given all the litigation, the question is bound to be asked and answered in discovery and a deposition where the Governor’s usual executive privilege probably won’t protect him. The cronyism in energy policy under Brown that contributed to The Leak is part of a bigger problem with a statewide shadow falling across Brown’s reputation. Exhibit C in the case of PUC-gate v. Jerry Brown: San Bruno and Pacific Gas & Electric. 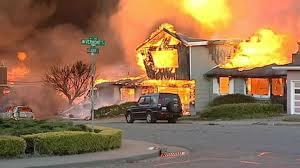 On September 9, 2010 a natural gas pipeline in San Bruno exploded into flames, killing eight, and sending flames, shockwaves and devastation across the community. For the perpetrator, Pacific Gas & Electric, it was fortunate that former PG&E top executive Nancy McFadden joined Jerry Brown’s Administration four months later as his executive secretary, his top aide. PG&E ratepayers paid billion of dollars for pipeline maintence and safety over decades, but there's no record of how the money was spent, as the Public Utility Commission (PUC) didn't track it. In fact, the company collected $10 million from ratepayers between 2007 and 2010 to just upgrade San Bruno pipelines, but never used the money for that purpose. The company did divert the dollars to fork out bonuses to top executives, including the CEO, in the form of cash and stock options. Then Boom: Dozens of homes destroyed, 66 injuries, 8 deaths. Red Tape? That sounds a lot like Jerry Brown’s crusade against regulation. Did McFadden communicate with PUC officials about San Bruno or any other matters affecting the company? We don’t know. But unless she officially recused herself from all matters related to PG&E, her role demanded and required she be in the loop on big public policy matters like San Bruno and PUC developments. At PG&E, McFadden served as Senior Vice President and Senior Advisor to the Chairman and CEO of PG&E. Prior to that, she was Senior Vice President for Public Affairs for PG&E, essentially PG&E’s chief lobbyist. The $1 million severance payment she received and her employment should have required that she recuse herself officially from all PG&E matters. Consumer Watchdog is waiting on a response to our Public Records Act request to the Governor’s office on this point. In 2011, PGE’s public policy director Dana Williamson also joined the Gov’s inner circle. In August 2013 she was elevated to Cabinet Secretary. Whether the two aides helped their old employer at the PUC is a legitimate question that Brown should answer emphatically. One of those top officials was Brian Cherry, who was PG&E’s lobbyist and regulatory specialist. His ex-parte emails and meeting with PUC Commissioner Mike Florio, a Brown appointee, showed that Florio improperly discussed San Bruno penalties and how to get a certain judge to deal with a $1.3 billion rate-setting case. Last month San Bruno’s City Attorney asked for penalties against the company for “constant courting” of Florio, who is still on the Commission. It’s much like Peevey improperly buttonholing then Southern California Edison executive vice president Stephen Pickett on San Onofre at an industry shindig in Warsaw for what he wanted to see in the SONGS settlement. Florio still maintains the Governor’s confidence. There can be little question that McFadden and Williamson’s employer benefited wildly from the favor of the PUC and Governor Brown’s office during their tenure. PG&E and its utility brethren were the principle beneficiaries of the final SB 350 renewable portfolio legislation that moves California toward a fully renewable state. Despite PG&E’s corruption of the PUC and improper ex-parte communiques, Brown vetoed a package of bills overhauling the PUC, many of whose recommendations were taken right out of a PUC-commissioned independent study by Michael Strumwasser. The legislation would have banned improper communications and created accountability for the PUC in the Superior Courts, among other provisions to increase transparency. In his veto message, Brown said he wanted to lessen the burden of open meeting laws on the PUC in exchange for any reform. Sound a lot like a veto message drafted by a former PG&E employee? Given all we’ve learned about the backroom, under the table influence-peddling at the PUC by Southern California Edison, PG&E and Sempra, it’s unfathomable that any reasonable governor would veto such reforms without PG&E’s minions in the horseshoe whispering in the horse’s ear. The newest scandal over PG&E’s San Bruno disaster just surfaced last week. A former company official came forward to say that PG&E executives ordered the destruction of company documents that showed the company knew before the blast about pipeline problems that caused it. The documents came to light from a federal court filing in the case over the deaths. Under Picker, the PUC, by contrast, last week closed all San Bruno proceedings except the question of improper communiques with Florio. If The Leak in Porter Ranch blows out to uncontrollable portions, as the Los Angeles Times just reported might happen, the Governor’s coziness with all the big utilities and his hostility to health and safety regulation in our gas and oil industry may become a defining moment in his legacy. The fact is deferred maintenance on the pipes in Porter Ranch and San Bruno had huge consequences. The leaking well in Porter Ranch could be the tip of the cracking iceberg. Inspections at 15 other wells found leaking valves, fittings, or flanges, according to a letter written to air regulators by Patricia K. Oliver, an attorney at the R. Rex Parris law firm that is representing thousands of Porter Ranch residents. SoCal Gas claims to have fixed the “minor leaks,” but has presented no public evidence of it, the letter says. Another 16 are simply “not accessible,” meaning there is no way for the company to check them. “It appears that SoCal Gas has lost control of the entire oilfield, a possibility that must be fully disclosed to the public through evidence,” Oliver writes. Rather than doubling down on safety, Brown either let McFadden and Williamson go easy on the utilities or just turned a blind eye while Peevey and his PUC cared less about oversight than their pet causes. It appears that Picker, the current PUC chairman, sympathizes. Millions of dollars charged to ratepayers in San Bruno were not used to keep them safe, as the utilities proposed. Will the scrutiny at Porter Ranch show the same problem at Southern California Gas, whose parent company Brown’s sister Kathleen sits on the board of? Will this become a rest-of-his-term embarrassment? Not if Brown finally acts to clean up the PUC, DOGGR, and show his commitment to regulation of well safety. He talked about climate change, water, and our health in his State of the State speech Thursday, but he failed to mention the suffering in Porter Ranch and San Bruno. Brown should act immediately to restore faith by calling for undoing the PUC and SEMPRA’s expansion of natural gas compression in Aliso Canyon. He should order inspection and maintenance on every ancient well-head in the state. He should apologize for trusting the utilities too much and worrying about the ratepayers and public safety too little, including asking PUC Commissioner Mike Florio to step down following his scandalous ex-parte communications. The carbon footprint on an uncontainable Porter Ranch could far exceed any good the Governor’s done with renewable standards in California. It’s a lesson he should learn from and accept if he wants to be remembered as a governor of the people, by the people, and for the people and not the governor of the PG&Es, by the SEMPRA, and for the SoCal Edisons.